Advanced Ionics founder Chad Mason and Present Power Systems president Jason Katcha where shopping for the same thing: a user-friendly facility with lab space that could be tailored to their engineering needs. 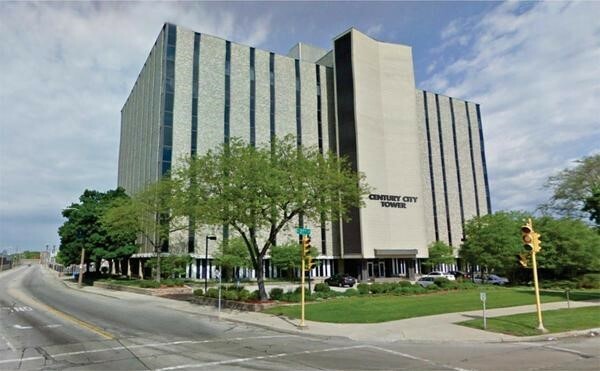 While they didn’t enlist the help of Zillo or Redfin, they both found exactly what they were looking for in the newly designed and renovated Midwest Energy Research Consortium’s (M-WERC) office space in downtown Milwaukee. M-WERC celebrated the grand opening of the new second-floor home for its operations recently last fall in the M-WERC Energy Innovation Center at 4201 North 27th Street in Milwaukee. The second floor space will consolidate the WERCBench Labs programming, prototyping and advanced manufacturing labs, and talent development and training in the same area of the building. Advanced Ionics develops electrochemical energy technologies to help reduce greenhouse emissions. Currently, they are focused on a product for very low-cost hydrogen production using electrolysis. M-WERC’s second floor design was exactly the type of office where Mason wanted his business to land. “I first toured the facility in July and have been going up there every Tuesday for the classes,” Mason said. “I’ve been looking for a place to set up shop as far as a workshop and prototyping facilities and it worked out really well. I’ve been familiar with the WERCBench Lab since 2015 and it worked out well to join them. The combination of classes, Milwaukee being a nice community, and it being a good place to develop new technology and the renovation made this the right time to move there. Present Power Systems (PPS) develops compact power electronics for solar, energy storage, medical and automotive applications. PPS exclusively uses new Silicon-Carbide switching devices coupled with advanced high-frequency magnetics and high-bandwidth digital controls to achieve size reduction versus existing products. After shopping for office space, Katcha quickly embraced the facility and the location. “The opportunity at M-WERC presented itself and they have tremendous lab space with excellent power capabilities,” said Katcha, who founded his company in 2014. “The thing about the space is the networking, the other companies that were there… it’s critical to have that. Having this space and location helps with networking and helps me utilize this infrastructure that’s available in the inner city. It makes so much sense.